Make your online store management much easier and faster! Check your e-mail after migration and get a 10% coupon code for Store Managers for PrestaShop, Magento, Virtuemart, OpenCart and other popular platforms. Inmotion hosting is a high-end Web Hosting service provider which offers up to 48% discount for all hostings for Cart2Cart clients. Boost your web presence with the help of search engine optimization, PPC advertising and conversion rates optimization from Promodo and get a free personalised webinar for a quick audit of your website. Softcube is your virtual shop assistant, matching every style and taste from classic to edgy, premium to affordable, bold to basic. Boost sales up to 20% with a personalized recommendation widget. Get 10% off our annual rate - plus 14 days free - by signing up through Cart2Cart today. 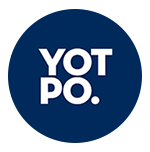 Generate more reviews for your products, and present them beautifully with Yotpo. Get 20% special discount with this promo code PRNTR20_C2C. Prestalia is the leading Prestashop Platinum certified agency specialized in marketplace. Provides you with solutions of eСommerces and modules to synchronize Prestashop with main marketplaces such as eBay, Amazon, cDiscount, ePrice, Idealo. Use this code HX939F9F now to save 15% on all the modules sold in shop.prestalia.it.